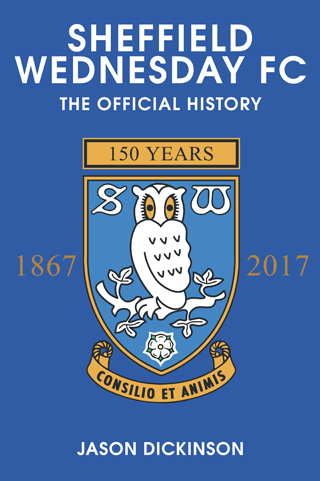 On September 4, 2017, Sheffield Wednesday celebrated its 150th anniversary. Or at least it should have done. Fans were expecting a shindig of mammoth proportions; what they got was a damp squib. No big friendly game against one of the world’s greats for a start, and the promotion to the Premier League promised by owner Dejphon Chansiri didn’t materialise. Instead, it sometimes felt as if the only thing the club was planning to reward fans for their loyal support was the chance to pay a ludicrously high price for a souvenir watch and a print of a rather lacklustre painting of Wednesday greats from days of yore. But were any Wednesdayites surprised? Not really, after all, the club had built up expectations in the past, only to cruelly dash them thanks to financial issues, bad luck, mismanagement, injuries at crucial times… The list of excuses is almost endless, but failing at the final hurdle has become the Wednesday way. Nevertheless, there are those of us who still sit in Old Lady Hillsborough’s stands, dreaming of better things. We are addicts hoping our presence will somehow magic the team into the big time. Recently we have been deluding ourselves. The 150th anniversary season did, however, produce something good – Jason Dickinson’s exhaustive history of the club. Of course, the nature of the beast means it’s already out of date, although you can bet that most supporters would rather airbrush the current season under Jos Luhukay from history. Dickinson takes readers back to the very beginning, when the Wednesday Cricket Club hit on the idea of launching a football team to keep its players occupied during the close season. The cricket arm is long dead, of course, but Wednesdayites everywhere owe it a debt of honour – or not, depending on how you’re feeling about the club at the moment! Its early successes and later failures are also charted, with everything else in between. Profiles of great players will enthral readers, particularly those of stars who plied their trade long before any of us were born; his selection of the Ultimate XI also makes good reading – and is a great starting point for discussion. My only problem with the tome it its presentation. I’d have liked something more akin to a coffee table book with more pictures; the text is sometimes a little heavy and would have benefited from being broken up by images. But it’s a small point, and you can rest assured that the Wednesdayite in your life will love receiving it for Christmas.